With five doors and a greenhouse styled like a coupe, the 6 series GT provides more legroom and rear headroom than a conventional sedan and combines luxury sedan comfort with the aesthetic appeal of a coupe, BMW says. BMW Canada will introduce the all-new 6 series Gran Turismo this fall as a 2018 model. The five-door 6 series GT joins the lineup just months after BMW's 5 series Gran Turismo went out of production in February of this year. Though the 6 series GT is also based on the 5 series architecture and some have painted it as a successor to the 5 series GT, BMW is avoiding that description. "We are staying away from calling it a successor because the car has gotten substantially larger in size and the positioning has changed," BMW of North America spokesman Alex Schmuck said. "It's definitely a 6 series Gran Turismo." Schmuck wouldn't say whether BMW would eventually bring back the 5 series GT. The previous model went out of production as part of BMW's move to the redesigned 5 series, which went on sale in Canada this year with a sedan body style. 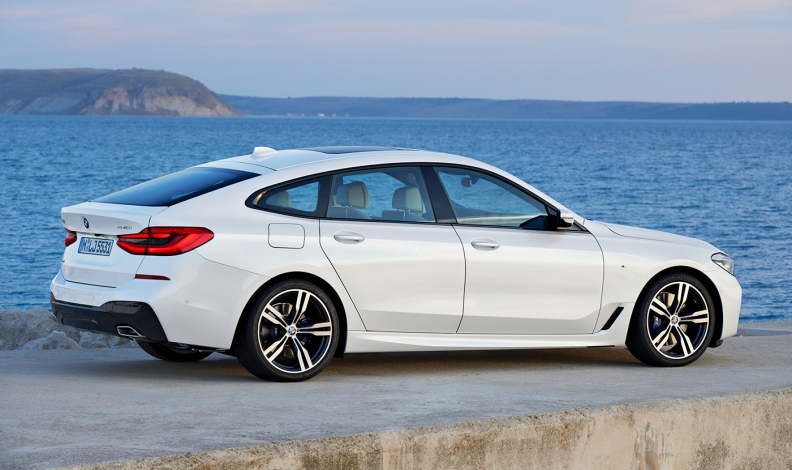 In Canada, the 6 series GT will be offered exclusively as a 640i xDrive model. It is powered by a turbocharged 3.0-litre, six-cylinder inline gasoline engine producing 335 hp and 332 pounds-feet of torque. It goes from 0 to 60 mph in 5.1 seconds, BMW says. Pricing will be revealed closer to the fall launch of the vehicle, BMW Canada said in a news release. In the United States, BMW said it will start at US $70,695, including destination fee. In the 6 series lineup, the 640i xDrive Gran Turismo joins the 6 series Gran Coupe and the 6 series convertible. The 2018 6 series Gran Coupe and convertible went on sale earlier this year.